Cooking with kids (especially toddlers) is a lot more about the process than it is about the finished product. The joy is in the baking and the decorating, and for this activity we had so much fun. 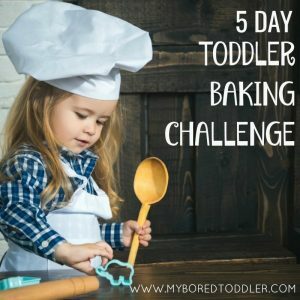 The photos used in this post are of the biscuits my 1 and 3 year old made together with a little help from me (Ok, the 1 year old mainly stirred and ate the mix, but she had fun!) – they don’t look perfect but they were so proud of them. It’s so tempting to take over and make them look ‘perfect’, but letting them make their own and be proud of their achievements is so much better. 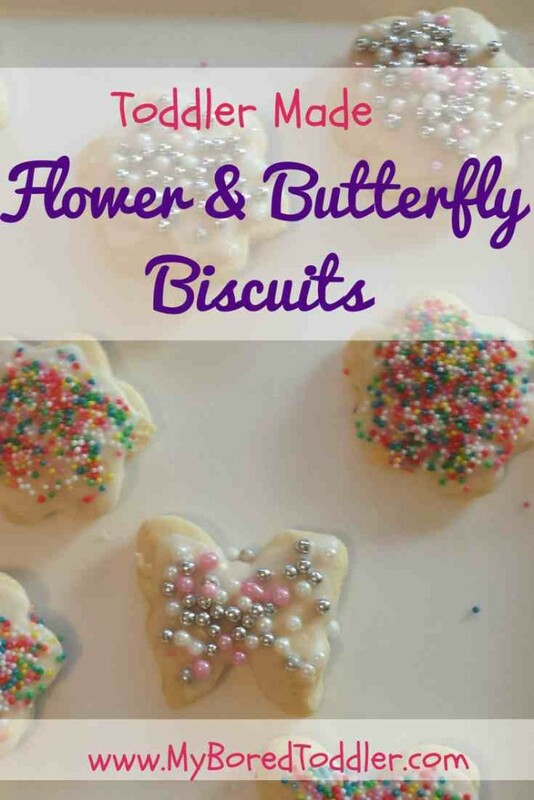 We took these to our play group morning tea and they were a hit! 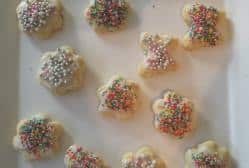 I used the basic changeable biscuit recipe from All Recipes. 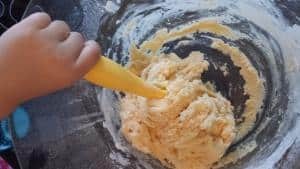 I like the fact that you don’t need to use a mixer for this recipe, and the kids can join in with all parts of the baking process. 2. Mix the butter and sugar until it is creamy – we used a spoon for this and both girls took turns mixing. 3. Add the salt and the egg and keep mixing. 4. Add the flower slowly, mixing as you go. 5. Add a splash of milk if needed. 6. Knead your dough until it isn’t sticky. You can add extra flour if needed. 8. 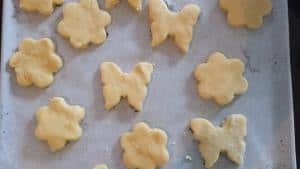 Cut out desired shapes with the cookie cutters. 10. Bake for 8-1o minutes. 3. Store in an air tight container. 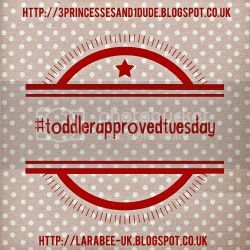 If you enjoyed this recipe you may also like our Banana Bread for Toddlers and Strawberry and Banana Smoothie for Toddlers recipe. Well Evie would love these thats for sure look at the sprinkles!